I watched the news in disbelief. A 10 year old St. Cecilia student drown. He was a classmate and friend to my daughter, Sophia. I knew him from the time spent over the years teaching Junior Achievement in their classrooms. He was well-liked, quiet, and humble. My heart started to break open for his parents and his 8 year old brother now in the midst of this tragedy. At the funeral, I could not take my eyes off of her. His mother trying to find her footing to stand up for hymns. She barely took her eyes off the casket that was mere inches away. She was leaning toward it the way parents do toward their children when seated in a pew. I gave up trying to catch the tears with my tissue. While our children all sat together in solidarity for their classmate, the mothers and fathers were left lifting up prayers for the grieving family. I wonder if they felt what I felt. I felt my own guilty gratitude come forward for it not being my child. I felt regret about taking for granted the days I have with my daughters. I felt the deepest sorrow for the hole that would forever be in his mother’s heart. I watched in wonder as she willed her way to getting through this day. I became angry. I was angry about so often hearing parents focus on trivial details about each other’s behavior in custody disputes. I was filled with frustration that it was meaningless when a child could be lost in an unexplained and unexpected instant. I thought my new retort could be on repeat “at least your child is alive.” I hung my head as a fresh wave of tears fell into my lap. It is because we love our children as we do that we can turn petty in an instant when we feel our child’s best interests at stake. It is precisely why we will fight for every hour of time we can get. It is with the finality of death that perspective comes into sharpest focus. It is a reminder to appreciate that which you have and to appreciate the minutes and moments of your children. Regardless of what a parenting plan directs, you have the choice to direct how you want to show up for your designated days. Do you want to show up bitter because it is not on the day you would have preferred or do you want to show up ready to revel in the relationship you have with your sons and/or daughters? 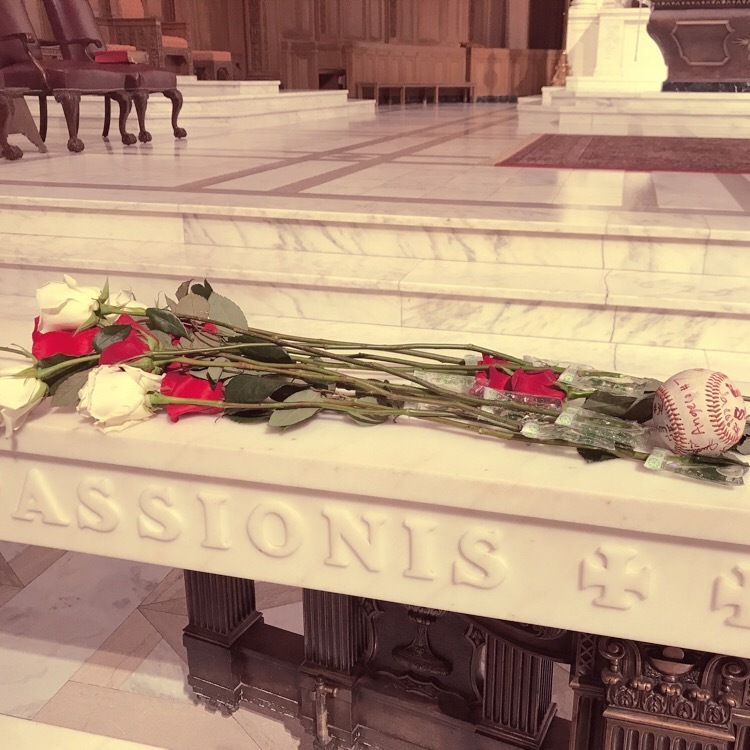 As I watched the single file line of classmates approach the casket and lay roses on the marble altar railing near him, I was reminded of what matters most. I was reminded about where I want my focus to be. I was reminded to live in gratitude. I was reminded to love my children with the fierceness I feel. To not cause conflict over the details of minutes, but rather cherish all the time I have.